Weighty Matters: A New Form of Child Abuse? This past December my family spent some time away from Ottawa's frigid temperatures on Florida's Sanibel Island. On the island is the original Cheeburger, Cheeburger a burger joint likely named after the goings on in the classic Saturday Night Live John Belushi skit, Olympia Cafe. Cheeburger, Cheeburger now has over 80 locations across America and their motto is, "Big is Better". 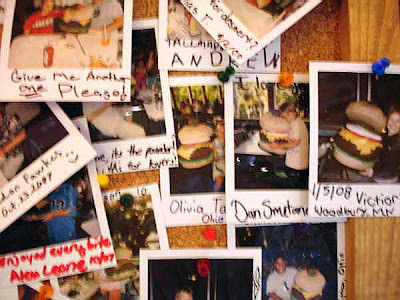 Walk inside and immediately you'll see their Wall of Fame where folks who eat their 1lb burger are immortalized by Polaroid and pinned in pride to a wall of cork. 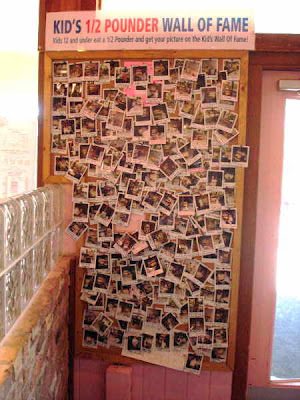 They also have another wall of fame - the Kids Wall of Fame where kids under 12 who eat a 1/2lb burger have their own wall of "pride". Looking at the pictures of the kids, many look to me to be in the neighbourhood of 6-10 years old and sadly I'm sure the vast majority of their parents likely provided a great deal of encouragement and reinforcement in teaching their child that eating far more in a sitting than they'd ever need to is an accomplishment worthy of parental pride. I know, I know, I'm a stick in the mud and it's all in good fun, yet over the past 30 years, American childhood obesity has quadrupled for children ages 6–11 (from 4 to 19 percent) and while I don't think it's all because of Cheeburger, Cheeburger (who by the way make absolutely fantastic burgers), I do think a great deal does have to do with parents who encourage unhealthy eating and sedentary behaviours through poor role modeling, and in cases like this, through what I would describe as overt gastronomic child abuse. Me? I'd love to see another wall up in Cheeburger, Cheeburger. I'd call it the Parents Wall of Shame and I'd take the picture of any parent who encouraged and allowed their child to gorge unnecessarily, all the while cheering them on, and then I'd post that picture for all the world to see what woe-derful parents they are.